As compared to any corporate consultancy company, our company is structured very differently. We being an internet-based enterprise, reaches to a far broader (national and international) customer base than a small, local brick-and-mortar store, possibly can. Additionally, we operate primarily as an office, so our overhead is very much less. Whereas a traditional storefront requires expensive retail space, display cases, security, staffing, and advertising, we’ve eliminated these costly expenses, which have a great impact on ours services & product pricing. Our founder and entrepreneur, Mr. Siddhartha Goell, is a passionate Gems collector. He travels to far distant places to procure the rare and distinguished varieties of gemstones. Besides dealing in all the colored gemstones, he has a fine taste in occult sciences like Numerology, Palmistry, Astrology and all. He himself is a qualified Astrologer (Jyotish Acharaya, degree) and has been practicing it for last 9 years. So this way he is always associated with people from all walks of life. Our client base includes astrological institutions, astrologers, jewelers, fashion designers, actors, politicians some of known faces in media business and celebrities. 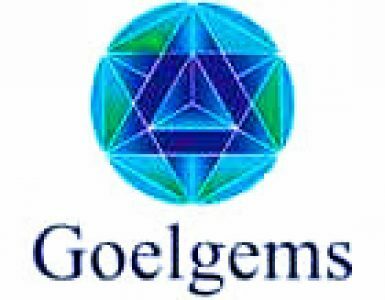 www.goelgems.com, is started with a view to disseminate authentic, scientific and unique knowledge on various mystic and allied subjects related to metaphysics, nature and divine. Readers will find it fill with rich and useful articles on rebirth, Yoga, Meditation, Astrology, and other predictive sciences, tantra, mantra, mind, herbs, holistic healing, hypnosis, color and other alternative therapies, nature, cure, Samadhi, telepathy, para-psychology, dreams, trance, spirituality and other supernatural and para-normal phenomena. Ultimately, we want our clients to make educated choices when making a major decision in ones life. We always encourage our clients to come up with their problems which are bothering them, personally, professionally likewise we prepare a detailed report of the same. And accordingly prescribe them, its remedy, by prescribing them right gems and wait for then to give us their feedback. Whenever they do, those happily surprised customers come back to us with glowing words.